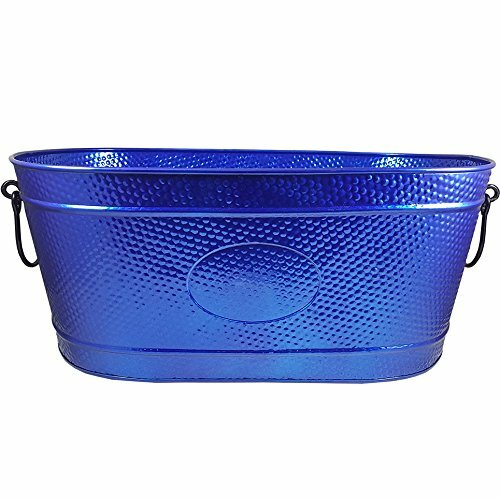 The Creighton Pebbled Beverage Tub is one of the finest creations on BREKX's product line. It appeals to people who want to chill a large amount of beverages at one time period, thus, it always seems to be the life of the party. The beautiful glazed finish creates a leak-proof and rust-resistant coating that keeps beverages ice cold for hours. Its size allows for about 35 bottles of beer or 8 bottles of wine. This item is ensured to help create successful parties for years to come! Enjoy this product in this beautiful weather with your family and friends! If you have any questions about this product by BREKX, contact us by completing and submitting the form below. If you are looking for a specif part number, please include it with your message. By Home by Jackie Inc.